The wasp-like (in colour, if not in size) belt features a detachable ‘bug’, allowing for easy cleaning. Plenty of effort went into the design and marketing, as is the UA way, but does the device lack substance? The main USP for this device is it’s marketed ability to measure your willpower. 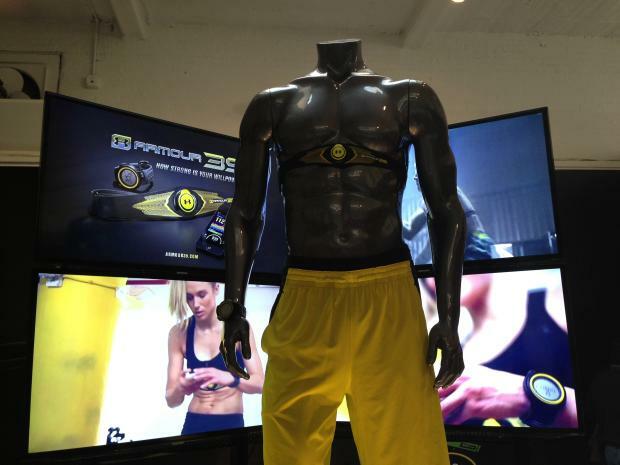 Under Armour has a view for the future of the fitness industry, a World where there’s no room for excuses. 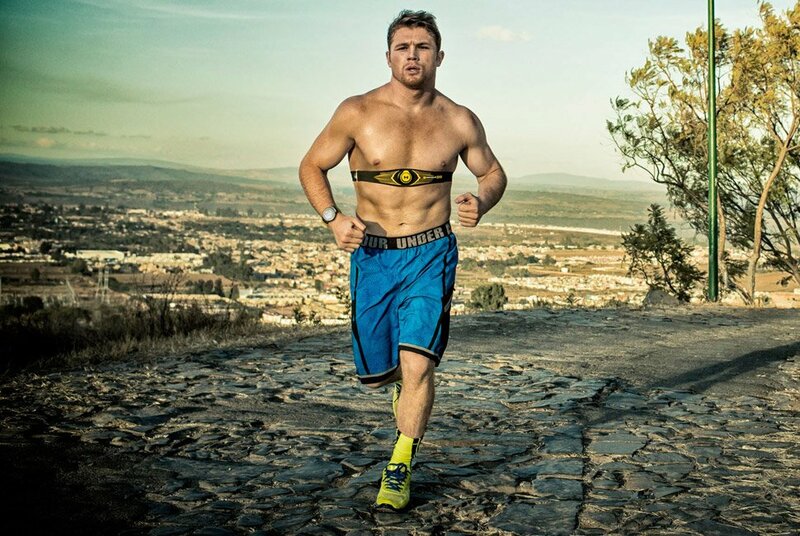 They have developed the UA Armour39, a device which monitors your willpower and pushes you to achieve your full potential. It’s easy to think you’re giving a workout your all. You turn up to the gym five days a week, make the effort slog away on the treadmill or to smash the weights – but are you really giving it your all every time you hit the gym? The simple answer of course is that we’re all human, so we can’t, but how often are you pushing yourself in order to make the strides needed to really hit your goals in time for summer? 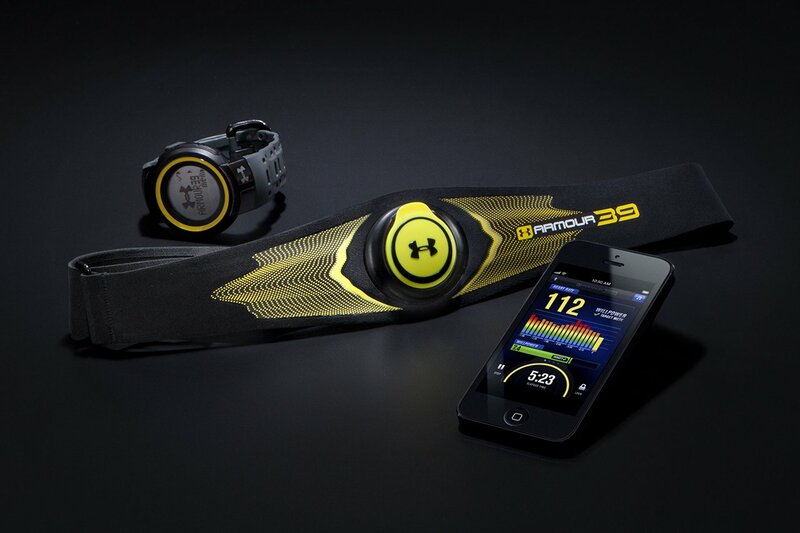 The Under Armour39 is a tiny diagnostic device which you wear strapped around your chest, much like a standard heart rate monitor. Indeed, it features most of what you would expect from a higher end HR monitor, including heart rate readings, calorie expenditure and workout intensity. 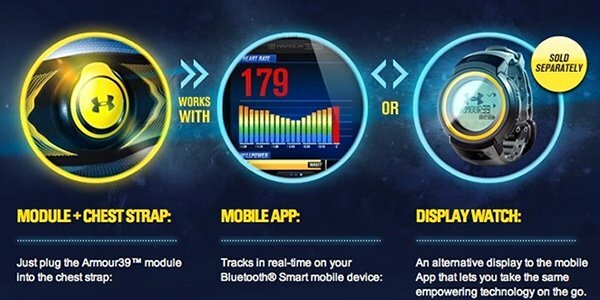 The real point of difference is the “willpower score” which the device calculates and then sends to your connected devices. Alternatively, you can spend an additional £150 to get an accompanying watch to send the data to, but frankly that seems pretty unnecessary. Design wise, the Armour39 is a striking, wasp like black and yellow, with a thick set strap. It comes complete with a strap and a ‘bug’, which is the tracking CPU console. It is actually almost a cross between a weight lifting belt in terms of its girth, and a heart rate monitor in terms of how you wear it. If this sounds clunky, then it’s hardly surprising, yet it seems to work quite well. UA claim that the wider strap is more comfortable then a thinner HR monitor strap, meaning it is less likely to be abrasive or to rub during intense exercise. And when you have a device measuring your willpower, you are pretty much obliged to give the workout some oomph. The strap, whilst large, is very lightweight, especially considering the oversized sensor which is built into it. The CPU is detachable, as is common with mid-tier and upwards HR straps, allowing for easy cleaning and batter changing. The device works via Bluetooth smart, meaning that it is easy to sync with your smartphone and tablet. 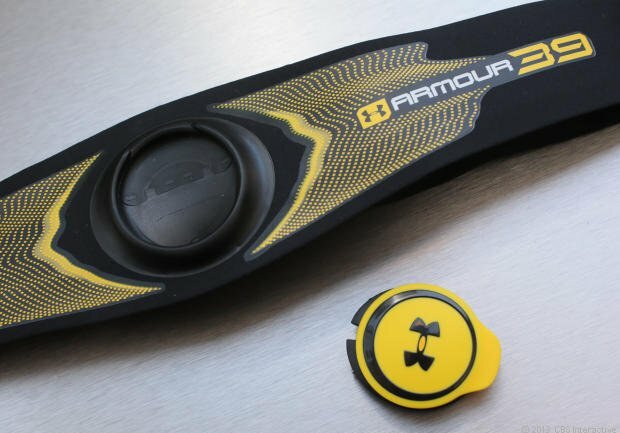 Under Armour are pitching it against the new breed of activity trackers, including Jawbone, Fitbit and the Nike Fuelband, yet it lacks the qualities that we come to expect from an activity trackers. Activity trackers are all about low maintenance, easy to wear, unobtrusive devices which casually go about tracking what you do without you remembering that they’re doing so. The UA Armour 39 needs to make skin contact through the large belt in order to derive readings, and whilst this will make it more accurate, it is evident that they are targeting only the most serious, top end trainee for this device. This is not something that you will see people walking to work wearing. Let’s not be dismissive in that regard though, because fitness trackers shouldn’t be all about the everyday people, and there is definitely space for somebody to take on the more advanced gym-goer market. I think it’s a super-cool idea to try and monitor a trainee’s willpower. Time and time again you hear that it is the willpower that ends up wrecking somebody’s workout plans, yet it is such a complex thing to measure that a standalone HR monitor will never stand a chance. Marketing jargon can often get in the way of fundamentally good products though. I like the idea of having my workout intensity measured. Again though, I would like more detail on the ranking system, and ideally I would have rathered get a score that elaborates a little deeper than a simple 0-10. I fear for this device, as it is entering a crowded market place with lots of new innovation. Definitely one to keep an eye on.